The breezy fun continues as Janice Thompson throws everyone's favorite small-town girl into big-city bridal chaos--and makes her choose between the love she thought she lost and the love she stumbled upon in the aftermath. 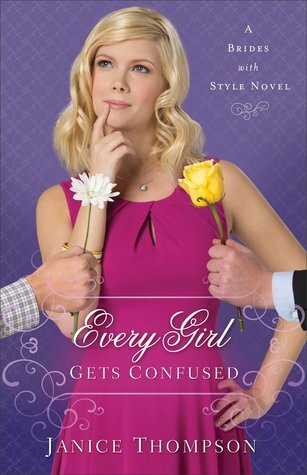 This book is a delightfully funny story about a cosmopolitan bride to be. Katie Fisher, a small town girl has dreamed since she was 12 years old of her own beautiful wedding. She enters a contest to win a designer wedding dress for her "dream" wedding. She wins the contest and is overly joyed about it but there is just one small problem...she doesn't have a fiancé or a wedding to wear it to. This is a problem! Join Katie on her quest to find Mr. Right and find out if she ever gets to wear her "dream dress" and live happily ever after. I would recommend this book to everyone. This is a great, charming story. Don't worry if you have not read book one as this book can be read as a stand alone novel. Who is Another Woman's Daughter?